Gay, straight, black, white, cis, trans, it doesn't matter - love is love! Be loud, be proud, and boldly proclaim your support of love in all its forms. 25% of all proceeds go to the Human Rights Campaign to help improve the lives of LGBTQ people. A simple statement that seems unequivocally true. But despite the recent advances in human rights in America, there are those who still refuse to celebrate the value and diversity of love. Love that isn’t just between a cis-man and a cis-woman. That's why we created this shirt. So you can proclaim your support of all love – regardless of gender identity, sexual orientation, race, color, ethnicity, or creed. We believe that the diversity of love is matched only by the diversity of humanity. And that when love wins, we create a better future for all of humankind. Say it loud, say it proud, and say it in 27 languages with the Love is Love is Love... tee by Humanity Under Siege. We donate 25% of all proceeds from the Love is Love is Love... tee directly to the Human Rights Campaign Foundation, whose mission is to improve the lives of all LGBTQ people, and to increase the understanding and adoption of inclusive policies and practices in America. 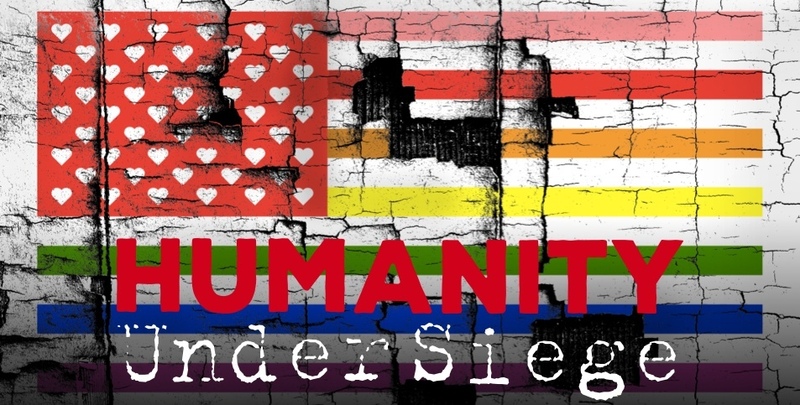 Humanity Under Siege is an independent clothing label based in Seattle, Washington that creates culturally aware & socially relevant clothing. We advocate for social, political, and economic equality for women, Black people, and LGBTQ people. Our goal is to create simple but meaningful messages that inspire change on ethically sourced clothing that people are proud to wear.